Over the weekend, the U.S. asked China to help it stop North Korean hackers. 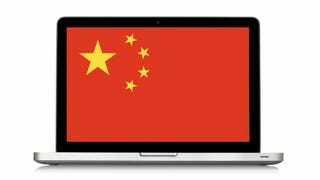 Now, China has publicly stated that, while it condemns cyberattacks, it believes that there is no proof that North Korea was responsible for the recent hacks of Sony Pictures. "[We have] reaffirmed China's relevant position [to U.S. Secretary of State John Kerry], emphasizing China opposes all forms of cyberattacks and cyber terrorism... Before making any conclusions there has to be a full (accounting of) the facts and foundation. China will handle it in accordance with relevant international and Chinese laws according to the facts." "What we are looking for is a blocking action, something that would cripple their efforts to carry out attacks. [China's] cooperation would be critical, since virtually all of North Korea's telecommunications run through Chinese-operated networks."